The three dimensional colorful reptile crawling up the side of this beautiful yellow glass bat is guaranteed to put a smile on your face every time you use this adorable chillum. 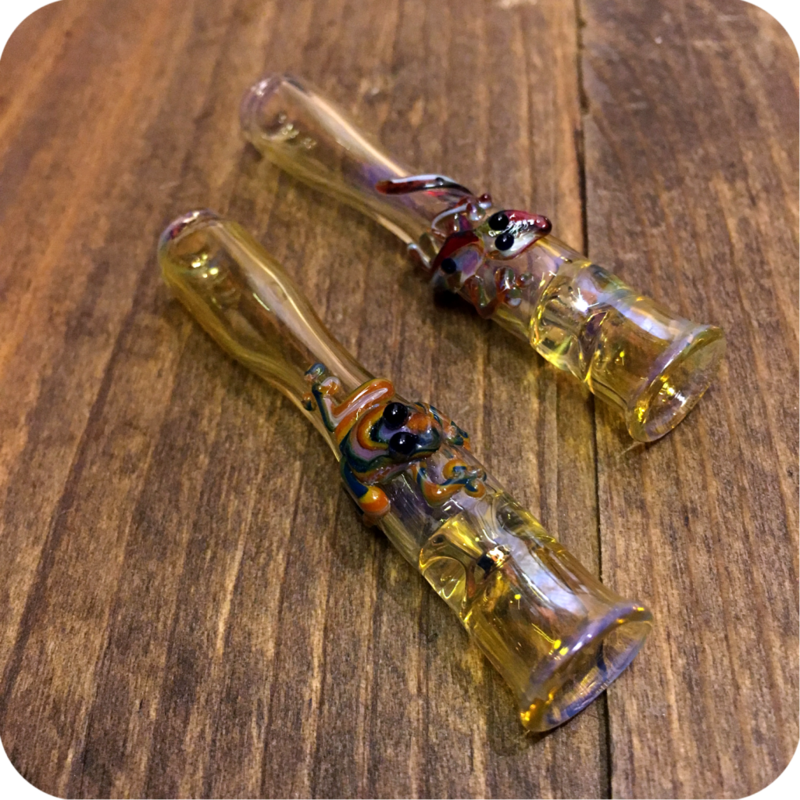 Each bat is 2.75″ in length and made of a translucent, almost iridescent yellow glass. 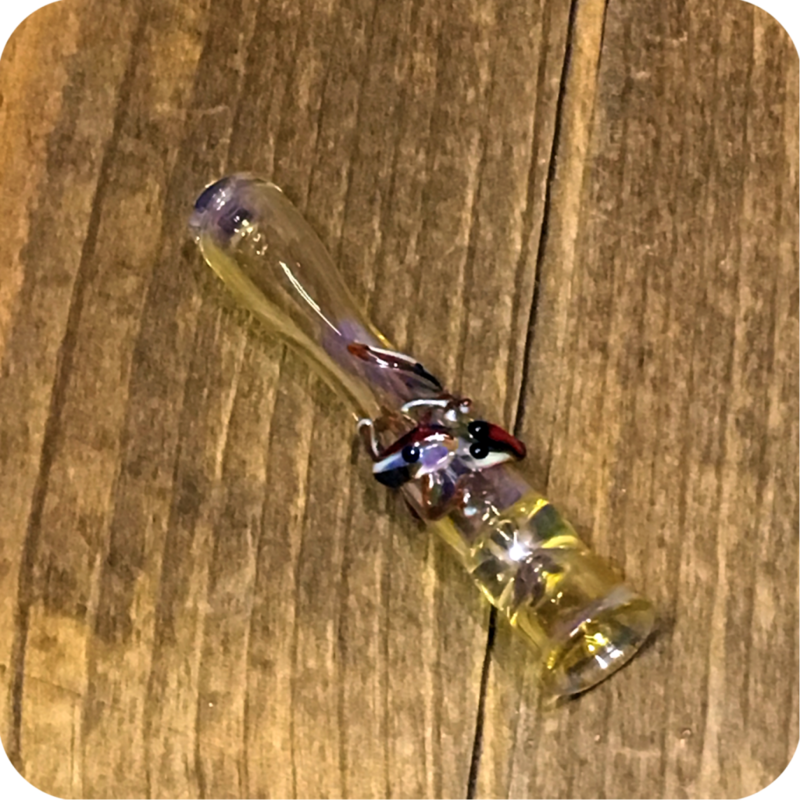 This bat is perfect for quick bowls, on-the-go smoke sessions, or even outdoor trips where your new smoking buddy will fit right in among the wildlife. 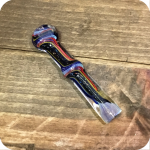 Toss it into your pocket, bag, purse, pipe bag, or whatever it fits into for a convenient and smooth smoke session wherever you are. 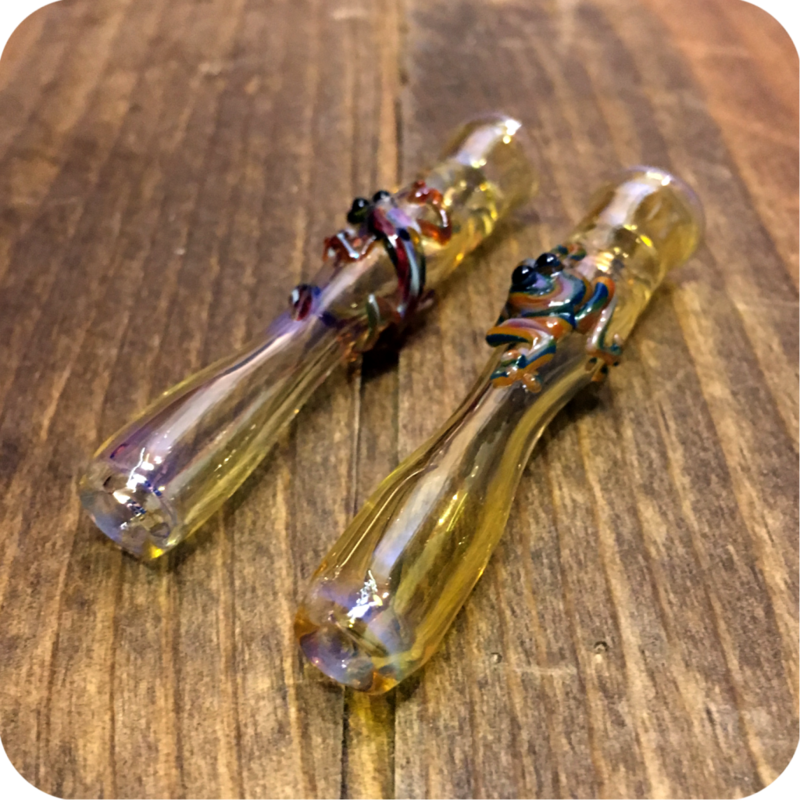 The bowl is 0.5″ deep and equally wide, which is a fairly standard size for this style of bat, although it is best suited for quick personal bowls (on the go or at home) or very small group settings. 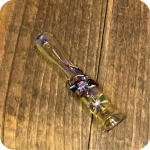 And be sure to let us know in the comments/notes section if you have a color preference and we’ll do our best to find you a new colorful frog or lizard to fit that description — or let us surprise you with a unique color pattern that we guarantee you’ll love. Finally, do not forget to swing by either one of our three Brooklyn store locations! 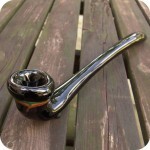 Categories: Glass Pipes, Glass Bats, Animal-Food-Character Pipes. 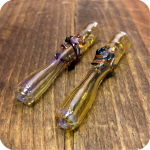 Tags: animal, animal bat, animals, bat, chillum, frog, frog bat, frog chillum, glass bat, glass chillum, glass one-hitter, one-hitter, yellow glass.